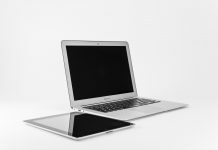 Most people buy smartphones and tablets as a way of carrying a device with them that can perform the same basic functions as a computer. 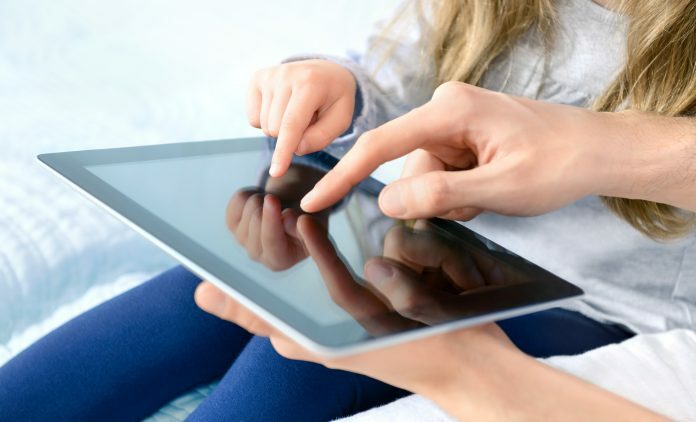 Oddly enough, many of the tablets you’ll find are only designed to connect to the internet via WiFi, so you don’t always get to enjoy the portability that makes these devices so coveted. If you really want to get the most out of your tablet no matter where you are in the world, you need to purchase an LTE tablet and a data plan to go with it. As one of the top cellular companies in the United States, Verizon offers a wide selection of LTE tablets and all sorts of data plans to go with them. The best part is, you can buy tablets from a wide variety of brands from Verizon. As long as you buy the LTE tablet from Verizon, you can use it with a Verizon data plan to access the internet everywhere you go. There are dozens of different tablets from popular brands, with some brands offering several different styles of their own tablets. 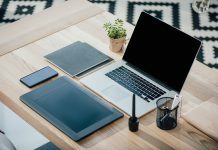 With all of this competition, it can be hard to make a choice—especially since a lot of tablets seem to have the same basic features when you look at the specs. So, what exactly are you supposed to look for in a tablet to make sure you’re getting the most bang for your buck? There are four main things you’ll want to know about any tablet: battery life, storage capacity, processing power and camera capabilities. If a tablet excels in all of these areas, you can have peace of mind that it’s a good tablet. That’s not to say there aren’t other features of a tablet that matter, but those often come secondary to these more important features. Not only do you want your tablet to be able to handle demanding tasks, you want it to be able to hold a charge while doing that. You also need enough storage capacity to install all of your apps and use them without having to delete things all the time. Finally, a nice camera ensures that every moment you capture with your camera is high quality. The Apple iPad 9.7 provides a great deal of power in a neat little package. The A10 Fusion 64-bit chip also has an embedded M10 coprocessor to make sure your iPad can handle anything. For storage, you get to choose between a 32 GB model and a 128 GB model, although neither iPad can accept microSD cards for storage expandability. The 9.7” Retina display features a 2048 x 1536 resolution at 264 ppi, which means you get great quality when you’re watching videos, looking at photos or even browsing the web. The fingerprint-resistant coating is a nice addition since touchscreens are known to get dirty fast, and the optional Apple Pencil gives you even more touchscreen capabilities. The Apple iPad 9.7 has an 8 MP rear-facing camera with some really nice features and a 1.2 MP FaceTime camera. The biggest downside to the iPad 9.7 is the fact that it’s a good deal more expensive than most 9.7” tablets on the market. Samsung’s tablets have been the biggest rival to the iPad for years now, and the Galaxy Tab S3 is another example of that. The 9.7” screen makes this tablet a suitable rival for the iPad 9.7, and its 2048 x 1536 resolution is an even match for the iPad’s Retina display. 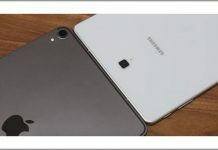 The front-facing camera on the Galaxy Tab S3 is 5 MP and the rear-facing camera is 13 MP with autofocus, both of which are superior to the iPad 9.7’s cameras. While camera quality ultimately comes down to technology, the Galaxy Tab S3 seems to beat the iPad by a bit. 32 GB of storage with microSD expandability up to 256 GB give you pretty much endless possibilities. The battery is also a hefty 6,000 mAh, so you shouldn’t have any problems taking your Samsung Galaxy Tab S3 with you on the go. The ASUS ZenPad Z10 is a Verizon exclusive, and one look will immediately reveal why Verizon loves this tablet so much. The ZenPad 10 has an incredibly sleek look to it that you won’t find in any other tablet, partially thanks to its 78% screen-to-body ratio. The 9.7” IPS display gives you a 178° viewing angle and incredible quality that make this a great tablet for entertainment. Its 5.32mm bezel is the world’s thinnest according to ASUS. Despite all this, you still get a 2048 x 1536 resolution with incredible sharpness and contrast. The ZenPad 10 is also a very powerful tablet when it comes to processing power, featuring 3 GB of RAM, an Adreno 510 GPU and a Qualcomm S650 CPU. The 7800 mAh battery beats the Samsung Galaxy Tab S3, which means you can take your ZenPad 10 on the road with you for longer without having to worry about battery life. All in all, this is about as good as it gets for a Verizon tablet. If you don’t mind spending a bit more money on a high-performance tablet—and lugging around something that’s a bit larger than your average tablet—the Apple iPad Pro 12.9 will give you some of the best performance you can find. There really is nothing quite like this tablet when it comes to Verizon’s selection. You have your choice of three storage capacities: 64 GB, 256 GB and 512 GB. 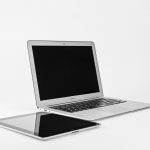 The 12.9” display has a resolution of 2732 x 2048 at 264 pixels per inch, and True Tone display, wide color display and ProMotion technology add to the quality of that display. You get a powerful A10X Fusion chip with an M10 coprocessor embedded, plus a powerful battery that allows you to surf the web, watch videos or listen to music for up to 10 hours on a single charge. 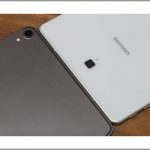 The 12 MP camera still isn’t quite as good as the Samsung Galaxy Tab S3, but the huge range of features to go along with it give it the extra nudge it needs to beat out the competition. This tablet can also give you the ability to record 4k video at 30 fps, 1080p video at 30 or 60 fps, and even FaceTime with friends and family using a powerful 7 MP FaceTime camera. Unfortunately, you’ll pay a hefty price for all of these features as this is one of the most expensive tablets on the market. While Verizon doesn’t actually make most of the tablets in its store, there are a few Verizon brand tablets, including the Verizon Ellipsis 8 HD. The Ellipsis 8 HD is an XLTE-ready tablet with an 8” IPS TFT LCD display that supports 1920x1200 resolutions at 282 pixels per inch. Its 5,100 mAh battery is rated for up to 14.5 hours of usage time and up to 14 days of standby time, although those numbers will vary depending on the health of your battery and other factors. The cameras aren’t amazing but they’re far from bad. An 8 MP rear-facing camera gives you the ability to take fairly high-quality photos while the 5 MP front-facing camera is among the best quality you’ll find for video chatting and selfies. A Qualcomm Snapdragon 617 Octa Core processor powers all of these great features and Android Marshmallow 6.0.1 serves as the operating system. You also have the ability to add extra storage with a microSD card. You have your choice of two colors for the Ellipsis 8 HD: Midnight Blue or Arctic Grey. If you like the idea of owning an Apple tablet but don’t want something as big as the 12.9” iPad Pro—or even the 9.7” iPad—you might want to consider investing in an iPad Mini 4. One cool thing about the iPad Mini 4 is that it only comes in one capacity whether you buy the cellular or WiFi model: 128 GB. Unfortunately, the Mini still lacks the microSD card expandability that every iPad lacks—and most other tablets have—although 128 GB of storage isn’t the worst amount to be stuck with. The iPad Mini has a 7.9” Retina display that still features the same 2048 x 1536 resolution as the larger iPad 9.7. The processing power has been dialed back a bit in the mini with an A8 chip and an M8 coprocessor. 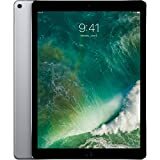 As far as the camera goes, the iPad Mini 4 has an 8 MP rear-facing camera that’s packed with features, including 1080p video recording and slow-motion video recording. The front-facing camera is only 1.2 MP but is still capable of capturing 720p video for FaceTime calls. And just like the larger iPad models, the iPad Mini 4 is rated for 10 hours of use. 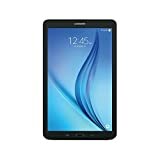 The Samsung Galaxy Tab E 32 GB is an 8” tablet which is a nice compromise between a smaller tablet and a full-sized tablet. Like most of the tablets you’ll see from Samsung, the Galaxy Tab E 32 GB allows you to expand its storage capacity with microSD cards up to 400 GB, which is more than you’ll probably ever need. This tablet comes preinstalled with Android 7.1.1 Nougat, so you don’t have to worry about running an outdated version of the Android OS. A 1.4 GHz quad-core Exynos 7570 processor gives you all the power you need for whatever you’re doing, whether you’re editing HD photos and videos or simply adding something to your notes. The cameras aren’t the best, but you do get a 5 MP rear-facing camera with auto focus and a 2 MP front-facing camera, so it’s not too bad. 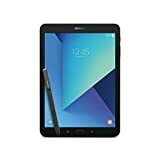 However, with a resolution of 1280 x 800, two cameras that aren’t the greatest, and a number of other small drawbacks, the Samsung Galaxy Tab E 32 GB is far from the best tablet you can buy from Verizon—especially for its $249.99 price. Another Verizon exclusive tablet, the Asus ZenPad Z8s is built with the same care on the inside as it is on the outside. It’s only 6.9mm thick and weighs just 306g, so you don’t have to worry about this tablet feeling too bulky or heavy, but the full metal design keeps the tablet from having a cheap, fragile feel that some sleeker electronics have. As far as the display goes, the ASUS ZenPad Z8s has a 7.9” IPS display that offers a 178° viewing angle with a 2048 x 1536 resolution, also known as 2k. The screen-to-body ratio isn’t quite as high as some of the other ASUS ZenPad tablets at 74.4%, but it’s still high enough to give this tablet an ultra-sleek look. ASUS display technology further guarantees that your display looks amazing. 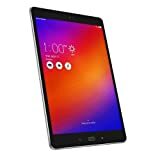 To make sure that you can actually run all of your favorite games and high-quality videos to fully take advantage of this amazing display, the ASUS ZenPad Z8s comes with a Qualcomm Snapdragon 652 octa-core processor, 3 GB of RAM and an Adreno 510 GPU. Once you’ve decided which Verizon tablet you’re going to buy, you need to decide which plan you want. Make sure you get enough data that you aren’t having to cut back on your usage to keep from going over your limit, but don’t get so much data that you’re wasting a lot of it every billing cycle. If you want to learn more about the different Verizon tablets available at the Verizon Store and the data plans you can purchase to go along with them, you can always call or chat with a Verizon customer service representative or visit your local Verizon Store. Previous articleReview Of The Naproxen 500 Mg Tablet: Is It Safe?